Mike was brought up in Middlesex and went to school in Harrow (the grammar school at the bottom of the hill) he was involved with his church as a senior server, a keen member of the scout group and continued to play rugby. Mike served his articles in London and qualified as a Chartered Accountant. He then moved to the West Country and heads a practice in Wells. Mike joined the Rotary Club of Mendip in 1976 and has had most jobs in the club (except Treasurer), he was President in 1981-82 and became District Treasurer for five years from !986 then after two years as Vice Chairman Mike was District Governor in 1994-95. Mike led a Group Study Exchange team to New Zealand in 1991. With other club members Mike has made a number of charity films for Sightsavers and other charities in India, Bangladesh, Kenya, Malawi and in GB and I. He sat as a Justice of the Peace for ten years and now serves his community as Trustee, Treasurer or Auditor for many charitable and sports organisations nationally and locally. He has served Rotary International in Great Britain and Ireland as a member of the Finance committee 1995-98, Hon Treasurer 1998-2001 and President 2005-06. Mike has served on many committees including General Council, Executive, Personnel, Leadership Development and Training, Triennial Review, District Leadership Plan and represented the President at Conferences. 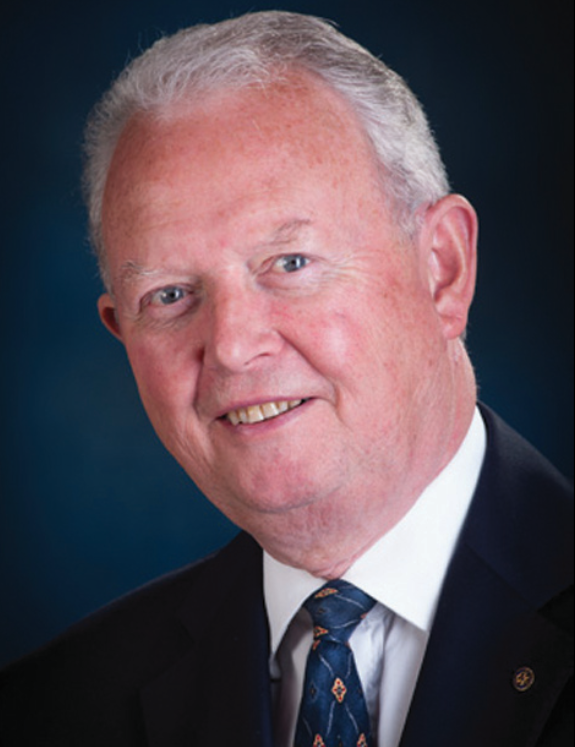 Mike is a Rotary Foundation Trustee 2017-21, Vice Chair of the TRF Finance Committee, the RI Investment Committee and Council of Resolutions as well as the Rotary member of the Finance and Accountability Committee for the Polio Oversight Board. He is the Trustee Liaison to the RI Board. He was a Director of Rotary International 2013-15 and has chaired the Humanitarian Grants Cadre of Technical Advisors for the Rotary Foundation. Rotary International have asked Mike to serve as COL vice chair, Task Force Co-ordinator, Moderator at Institutes, Presidents representative at district conferences, 3H grant Auditor, a Training Leader at the International Assembly on two occasions and at GETS. Mike served as a member of the RI Finance committee 2009/11 and Chairman 2011/12. In the spare time that Rotary allows Mike enjoys rugby, as a spectator now at Bath (and anywhere else), tries to play golf, travels with Alison as much as possible and they enjoy a good glass of wine. Alison is a nurse and shares many of Mike’s interests-including the challenges of his Rotary career, between them they have four children and seven grandchildren.